Photo of a Toronto Maple Leafs hockey ticket. The game was in Maple Leafs Gardens at October 10, 1998. The final season in Maple Leaf Gardens. 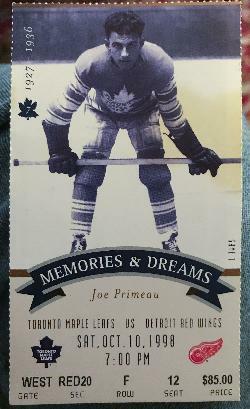 Pictured on the ticket is Joe Primeau.